Concerns about the CSU system facing possible tuition increases next year due to a budget shortfall have been averted following the release of Gov. Gavin Newsom’s budget, according to CSU Chancellor Timothy White. Tuition increases for next year are “off the table” White said during his annual State of the CSU Address at Cal State Long Beach last week. Newsom’s budget includes a $300 million increase in ongoing funding for the CSU system as well as a one-time grant of $247 million for infrastructure repair and improvement and $15 million to provide low-income students with food and housing assistance. The additional funding will allow the CSU system to enroll more than 8,000 additional students, although the CSUs proposed budget released by the Board of Trustees had hoped to increased enrollment by 21,000. Last year, 31,000 qualified students were turned away due to a lack of space, according to the CFA. CSUN’s campus has facilities in need of repair and improvement which the nearly $250 million outlined in the Governor’s budget could help with, according to Jason Wang, Director of Physical Plant Management at CSUN. 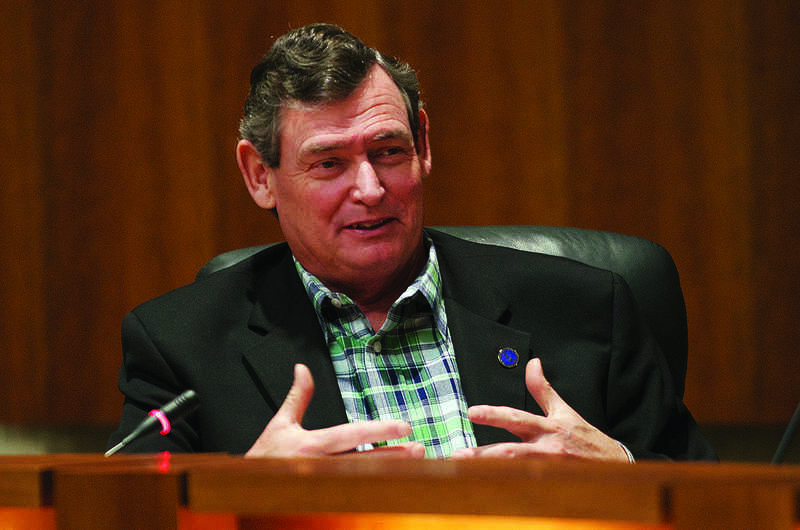 The CSU Board of Trustees released their proposed budget last fall with a request of $554 million in additional funding. Newsom’s proposed budget includes a $562 million increase. Newsom’s budget still needs to be approved by the state legislature, which will go through a revision process in May to account for any changes in the economy that could occur during the spring. The Legislature will vote on the budget in the summer.